I salute the free people of the world as well as the Human Rights organisations and all the conscientious journalists for their support of real reform in Bahrain and their attempt at protecting the Bahraini peoples civil and political rights, specifically peoples right to gather peacefully and express their opinions. I call on the powers and governments that support the Bahrain government - especially the US and UK - to take their historical responsibility for the violations the Bahrain regime is committing, given they are the ones who built up the regimes institutions and oppressive apparatus, and provide it with political support. WE await what will happen on 14 Aug and what will follow. Real change WILL come, inevitably. 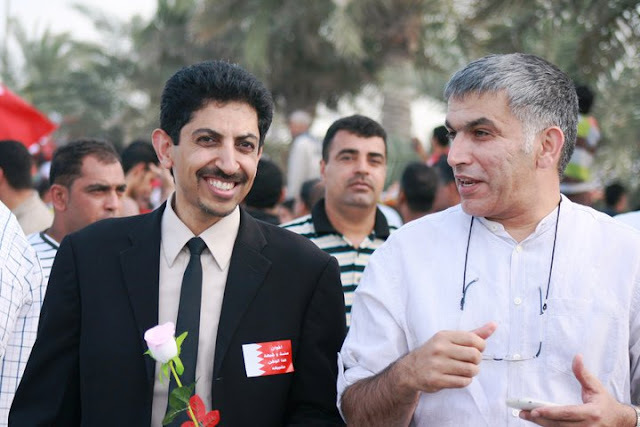 Nonviolence does not mean surrender, but is the optimal method to put pressure on and expose the Bahrain regime with the least amount of loss and sacrifice towards the path of achieving and preserving human rights.